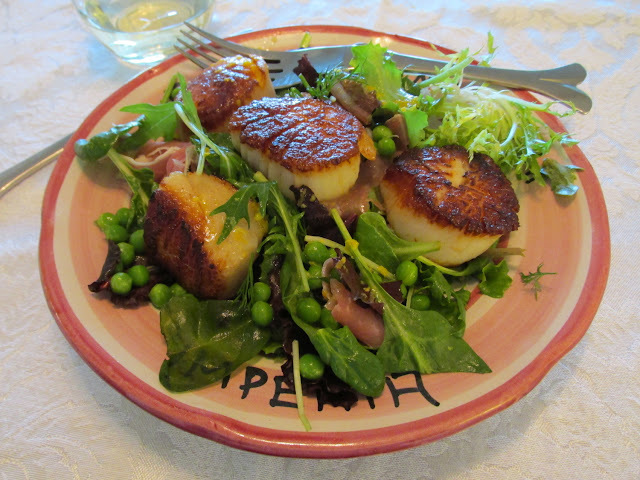 Everything Coastal....: Spring Scallop Salad- Super Easy! The original recipe was created for a 4-person dinner salad, we adapted it for 2, so that we would not have any left over scallops. Pat scallops dry. Heat a large frying pan (NOT non-stick) over high heat until a drop of water sizzles when dropped into pan. 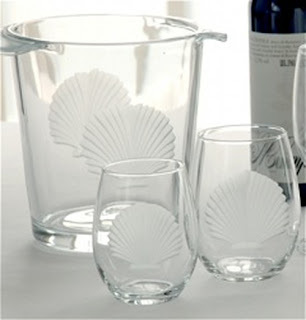 Add grape seed oil (it can be heated at higher temps than other types of oil) then the scallops; season with kosher salt. Saute’ scallops without moving them until browned and easily turned. Should be about 3 minutes per side. Transfer to a plate. Whisk lemon zest, juice and olive oil with ¼ tsp. kosher salt. Toss Spring salad greens, peas and torn prosciutto with half of the prepared lemon dressing. Arrange on plates and place seared scallops on top; drizzle with the remaining dressing, and finish with a hint of sea salt to taste. A fresh loaf of French bread and a lovely Chardonnay completes your gourmet dinner. Enjoy! 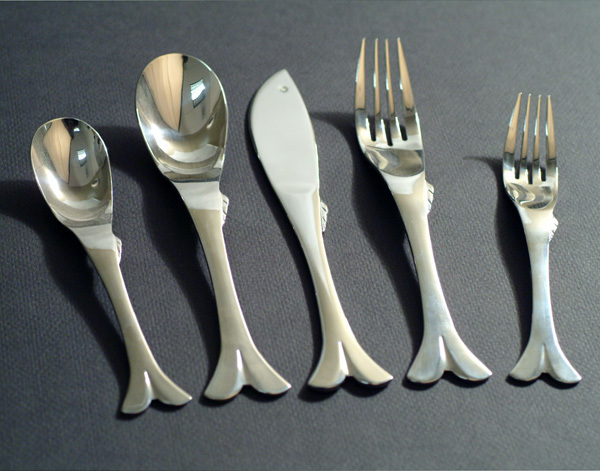 Coastal Fish Flatware can be found on our site. We love ours! Thanks for this nice sharing. All of our team from http://com-names.blogspot.com loves it.